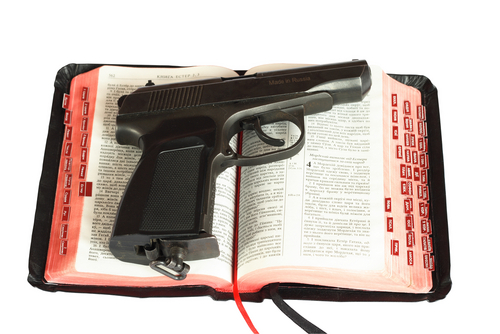 “[T]he Rhode Island State Council of Churches does NOT endorse a policy of anyone bringing a concealed weapon into a worship service,” wrote the group’s Executive Minister Donald Anderson in response to a Providence Journal article, Officers urged to bring concealed weapons to church. In his response, Reverend Anderson wrote that though the Rhode Island State Council of Churches, “has encouraged congregations to participate in active shooter training in order help clergy and congregants be better prepared should they encounter the nightmare of an active shooter,” the group never, “expected that there would be any recommendation to encourage concealed weapons being brought into worship. Instead of encouraging the introduction of weapons into churches, Anderson suggested targeting elected officials who accept campaign contributions from the gun lobby. “We would do better to focus our efforts on prevention. The article on Monday (Focus returns to guns, flow of lobby money) details Rhode Island political figures who have accepted almost $20,000 from GOPAC (RI Gun Owners PAC) who are both Republicans and Democrats. This “blood money” has been used to stall common sense gun legislation in recent sessions. Bills that would limit guns on school grounds and limit the number of bullets in a clip never make it to the House or Senate floors for a debate and vote. Rhode Islanders, especially people of faith, should demand that politicians return every blooded penny of those donations. Newtown, Connecticut is less than 90 miles from our state border. “IT COULD HAPPEN HERE! Is that what it will take for us to wake up? “Will Rhode Island students, teachers and staff have to pay with their lives for our political leaders to wake?